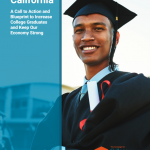 In 2016, The Campaign for College Opportunity set out to quantify the amount of Pell Grant funds left unused by California students, funds that would have otherwise helped low-income students pay for college. The results were staggering. 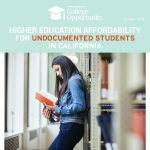 We found that in 2014, more than 144,000 California high school graduates failed to complete a FAFSA, resulting in over $340 million going unclaimed and unused by eligible students. These are not funds that need to be won in the never-ending Congressional budget debates. These dollars are already allocated towards financial aid, but we have yet to make it enough of a priority to make sure they get to their end users – students. Much of the problem lies in the FAFSA form itself. The FAFSA can be intimidating – it is a lengthy and complicated form, especially for young people new to tax terminology or families unfamiliar with how to pay for college. However, now that 99% of FAFSAs are submitted electronically, we can leverage technology to remove this artificial barrier from students learning about or accessing their financial aid. Recent changes made the FAFSA more user-friendly, but leave much room for improvement. The IRS Data Retrieval Tool (DRT) allows applicants to import their family’s tax information directly to their FAFSA. However, the DRT was suspended in 2017 due to security concerns and has never been made available to applicants in certain tax filing situations, including those earning too little to submit an income tax return. Nearly one third of FAFSA questions must be answered by fewer than 1% of applicants; we should take a cue from TurboTax and other tax filing programs by using “skip-logic” to better match questions to the complexity of an applicant’s finances. The Department of Education must prioritize making the DRT safe, reliable, and available to all applicants, regardless of tax filing status. Investments in the FAFSA process will pay off many times over, as more students access financial aid, enroll and graduate from college, then enter the workforce to contribute more to our tax base and economy. We can all take action to make the FAFSA a clearer pathway to financial aid, rather than an obstacle to be overcome. Congress can pass legislation to reduce the number of redundant questions asked by the FAFSA. 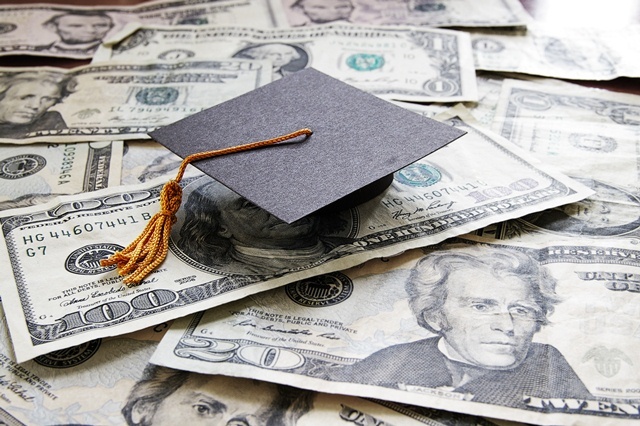 The Higher Education Act, which sets federal policies for student aid, is currently being reviewed for reauthorization and should be updated to reflect commonsense improvements to the FAFSA. California can also do more to help our students claim every dollar for which they are eligible. Educators and community leaders should be relentless in getting out the word about deadlines and where to get help with applications, like Cash for College workshops. K-12 district and state leaders can monitor schools’ FAFSA completion progress in real-time using the National College Access Network’s “#FormYourFuture FAFSA Tracker.” As of February 16, 2018, only 195,003 students had completed their FAFSA, just 38.1% of more than 512,000 high school seniors in California. 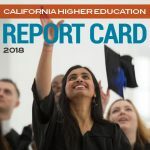 Perhaps more concerning is that 22.4% of California high schools did not report any data, earning California the dubious ranking of 6th highest proportion of “no show” high schools not reporting any data on FAFSA completion. 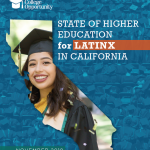 Besides continuing to press Congress for a simpler FAFSA and sharing information about financial aid, California education leaders can require that high school seniors complete a FAFSA or Dream Act application before graduating to make sure students know about any available help. Paying for college should not be a barrier to higher education and the FAFSA should not be a barrier to financial aid. 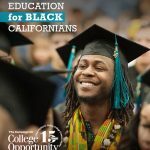 To stay informed about proposed changes to the FAFSA in the Higher Education Act reautorization debate or news in California higher education, sign up for the Campaign for College Opportunity’s newsletter here.